When it first dawned on me that food additives were very badly affecting my family, I obviously wanted to make some changes to what we were eating! I’d digested all the information, and started to apply it to the food we ate. It made a lot of sense, and I felt confident we were really onto something. I rejoiced as I saw many problematic symptoms start to evaporate. And yet six months down the track we had what I call our “Christmas Holiday from Hell”. Inexplicable defiance and impossible to manage behaviour caused us to pack up and return home several days early. So what went wrong? And what did I learn from this? 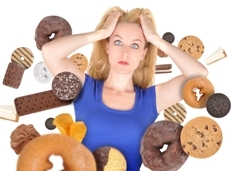 Even with the very best of intentions, an additive free diet can be challenging to maintain! The busyness of everyday life took over, diverting my attention away from what was so important for us. Effective dietary changes need some sort of structure to get us, and keep us, firmly on track. A simple structure can also help to simplify the whole process, meaning that it’s far less likely to overwhelm you! When starting out, it’s great if you can simply change one product or one meal each week to an additive free version. It’s not a race to a destination – it’s a continuing journey, so you need to pace yourself. And the effects of food additives can be cumulative, so any changes you make will have a beneficial effect. Choose a suitable structure for your needs. Using an Elimination Diet structure with specific challenges, can help to keep you on track, and also prove to yourself the worth of continuing your efforts. Whether it’s a Full Elimination Diet (eliminate and challenge certain natural food chemicals as well as additives), or a structured Food Additive Elimination and Challenge process, when you can clearly observe a difference in symptoms, you’ll be far more motivated to continue with dietary changes. A very basic Menu Plan (a daily list of foods you’ll be eating) can take the pain out of the whole process. You can then shop, or prepare ingredients (like homemade stock) or meals in advance, without having to overthink it too much. Plan ahead. Special events shouldn’t have to mean eating additive filled foods. Whether it’s at school, a family BBQ, or even a formally catered event, thinking ahead can greatly reduce your exposure to additives. Keep it simple. Children are often happy with many of the same favourite meals and snacks. As long as the meals contain nutritious food, and are happily eaten, don’t worry that there is not enough variety. Treat occasional “slip-ups” as learning moments, not mistakes. A return of nasty symptoms can be a timely reminder of why you’re going to the trouble in the first place!! Gently remind your children (or yourself), the connection between the food eaten (and the additives involved), and the symptom(s) they are experiencing. Often this is easier to accept when the symptoms are abating somewhat! Constantly remind yourself of all the good that you HAVE done. It’s so easy to get caught in the trap of focussing on what we’ve NOT yet done, or NOT yet gotten right, forgetting how far you HAVE come, and the wonderful achievements made, often even forgetting the symptoms dietary change has already managed to eliminate.